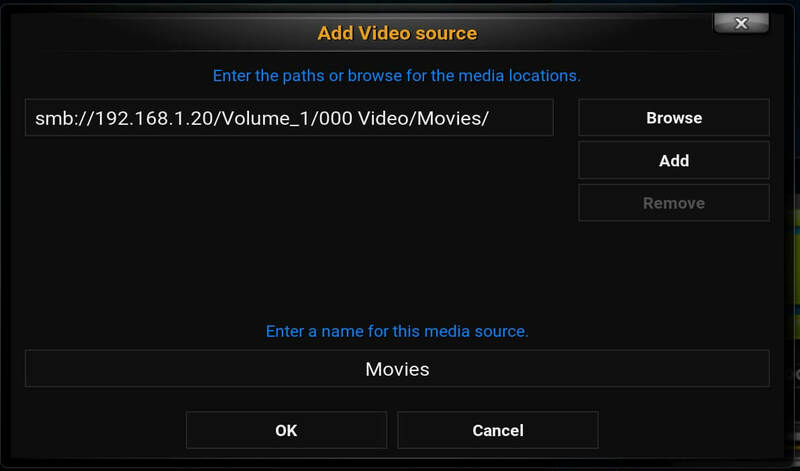 Welcome everybody to the Kodi Beginners Guide Part 3: Add media sources to Kodi! 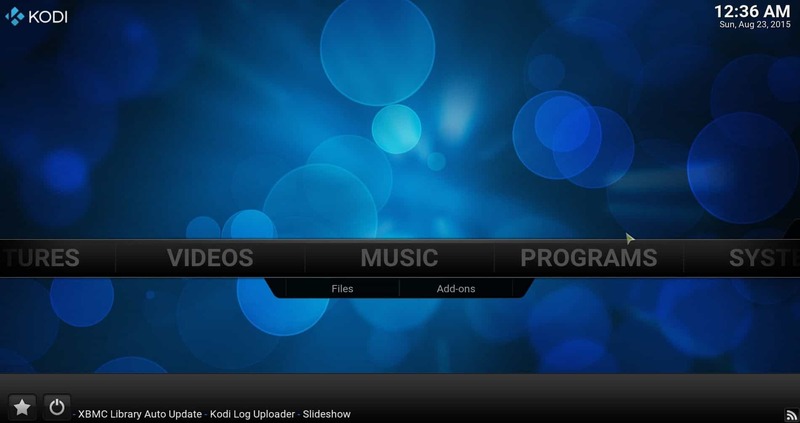 In Part 1: What is Kodi, we went through the origins of Kodi and in Part 2: How to use Kodi we covered the installation and how to organize your media files. 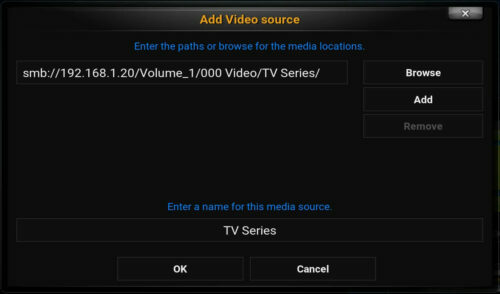 In this third part I'll show you how to add media sources to Kodi and how to setup Kodi library. If you're having trouble getting started just take a look on how to setup Kodi on Windows to help you on your way. 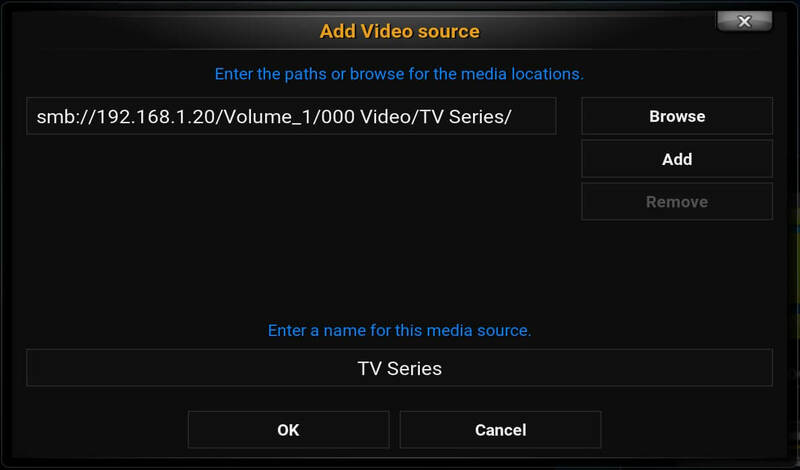 How do you add media sources to Kodi? In creating this Kodi setup guide I'm navigating through Kodi with a wireless Mouse and keyboard. So, to add our NAS device to the available shares we go to “Add network location”. Kodi browser with added NAS as SMB network location. To setup Kodi library correctly you have to take good care of the content menus. First you choose the content type by clicking the arrows on the top left (In this example: Movies). Then you select your desired scraper on the top right. As I mentioned before, The Movie Database is the default Movie scraper for Kodi. By clicking on “Get more” you can add several others that may work better, depending on your specific type of content. I found that the TMDB works pretty good for me when I add media sources to Kodi. If you have all your movies in separate folder, which I have advised you to do, you have to activate that scanning option. If everything seems in order, click OK. Confirm to scan your media folder. Default Main Menu but now with Movies and TV Shows sections added. 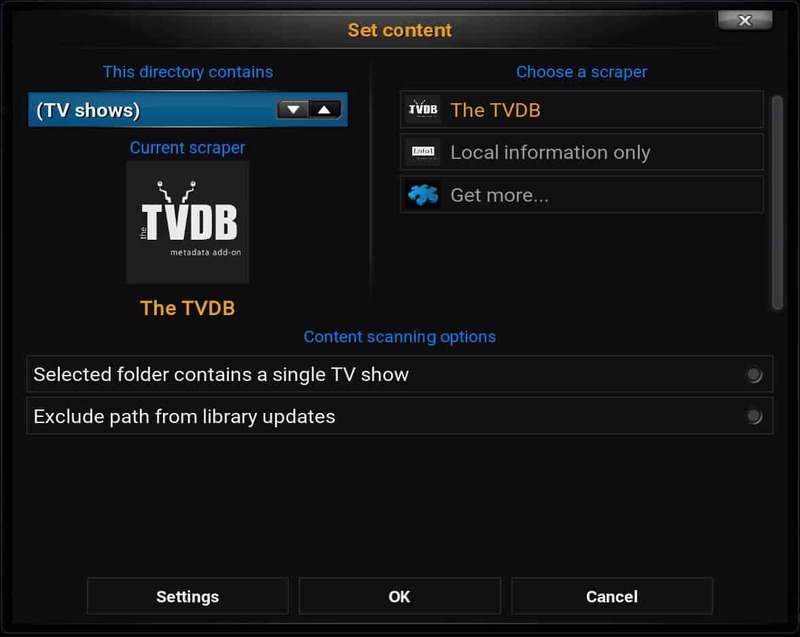 So, that's how you can add media sources to Kodi and setup Kodi library by using scrapers. In the same manner you can also add music and pictures. For more detailed information, you can also check out the Kodi quick start guide on the Kodi website. If you want to setup multiple HTPC devices with Kodi your can think about sharing the same Kodi library setup with all devices. One way to do this is by setting up your own MySQL server to get the best Kodi media player experience. And with that, I’m closing out part 3 of the beginners guide for Kodi: Add media sources to Kodi. Look out for Part 4 which will be all about changing Kodi skins.